It's my favourite time right now when sales are finishing and the stores start to fill up with everything new...the worst bit is I want it all (Crying emoji)! But before you all go crazy, thought I'd update you with some trends. 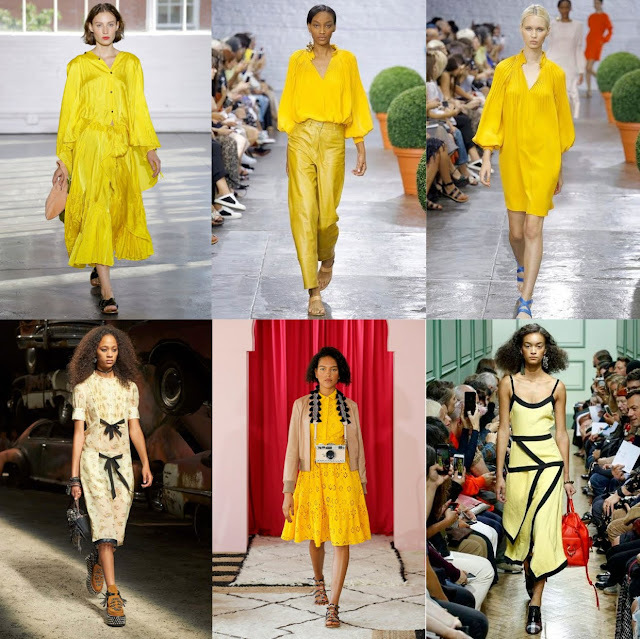 I'm only mentioning my top four favourite trends as I find it overwhelming with so many around, plus theses are usually the ones that will stay in your wardrobe for ages. First up is Stripes, you can't go wrong with this trend, to be honest, it's less of a trend and more of an everyday essential and something that is always on the catwalk. 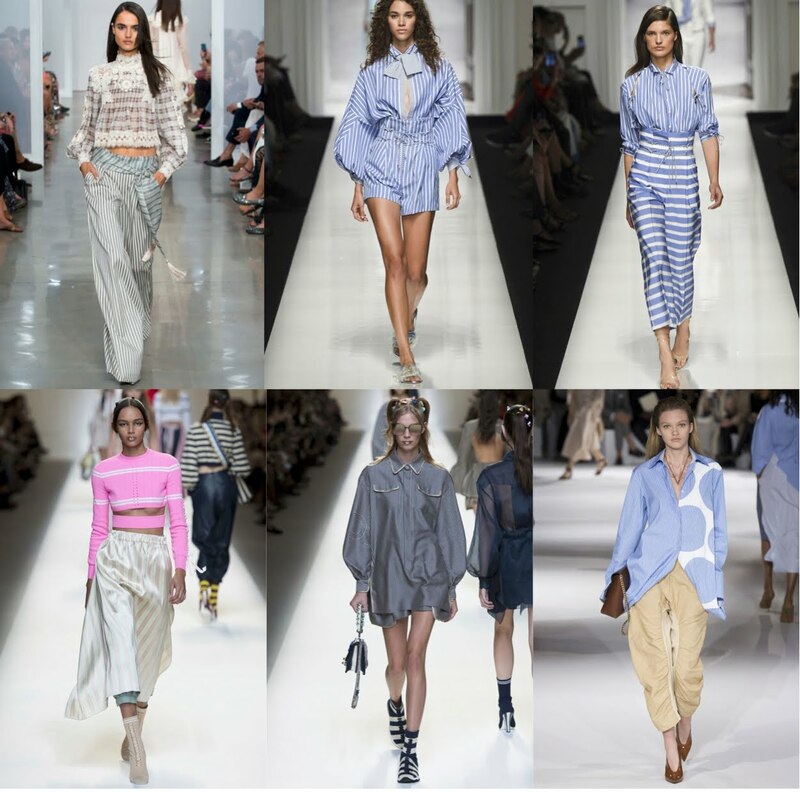 Stripes were seen all over the catwalks, a few of my favourites are below. We can all incorporate stripes in many of our outfits from the good old Breton top to a striped shirt which is also huge this coming season (More on here). Whether it's coloured, monochrome or even a Zebra print, stripe it up this season. Next up is Pink, yep a trend from last season but big this season too. Over the last year or so I have slowly come to like this colour more. Spring/Summer is all about the brighter pinks, especially the fuschia colour, bright I know. 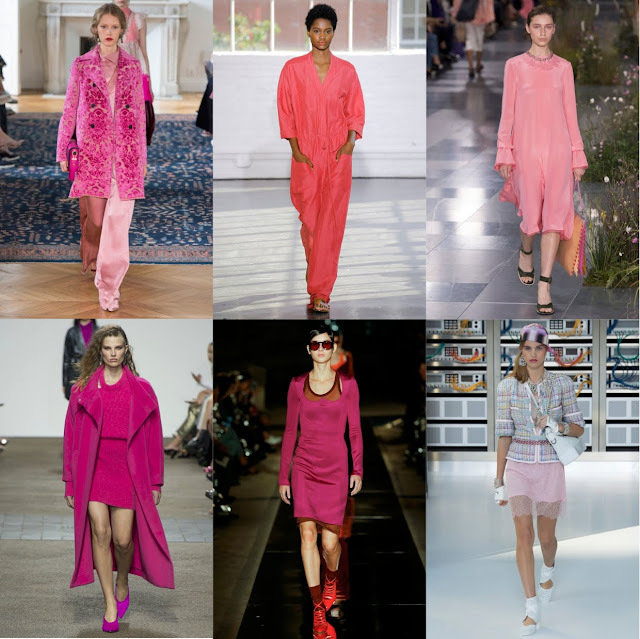 If the darker pink tones are too daring, you can get on board with another shade. Next, Ruffles, I remember writing about frills and ruffles last year under SS16 trends, well it's back again so if you bought any last year it's a good time to dig them out! A very feminine style that looks great on dresses, shirts and skirts. Lastly, I wanted to add something different, another colour trend...Yellow! It will definitely brighten up my SS wardrobe, I can see myself wearing it with denim, khaki and black. It's a summer colour for sure! Other trends that have been spotted on the catwalk are Statement sleeves, PJ style, bralettes, kitten heels, 80's (big shoulders), tulle, sportswear, sheer, small bags, slogan tops and leggings, just to name a few. Some I can get on board with and some I just can't. I will do a post on each of these trends with my high street finds soon. Bring on Spring! Thanks for reading.